Have You Made Your Website Compliant and Accessible to All? The US Census Bureau estimates that over forty-seven million Americans have some type of disability. Twenty percent of this number suffer from vision or hearing disabilities. This means that these people endure unwarranted challenges whenever they are accessing websites or documents online. The Americans with Disabilities Act (AwDA), was passed with this percentage of the population in mind. This act aims to help people with disabilities access the web. 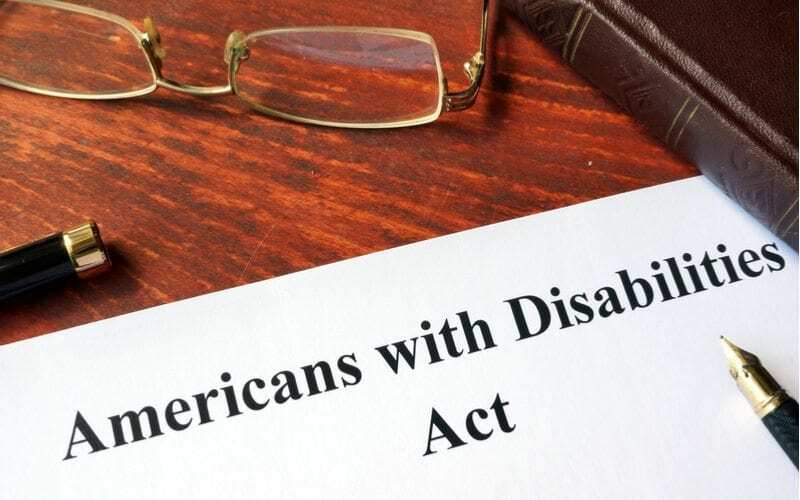 The ADA regulators set a 2018 deadline for websites to become compliant with these regulations. ADA compliance means changing certain elements of your website and documents to be accessible to everyone. Screen reading technology – this means that your website should make it easier for screen readers and narrators to read the websites content for the visually impaired. Website navigation – ensuring that your website can be navigated in many ways such as using the keyboard and mouse. You should also equip your website with a search functionality to make it easier to locate content. You can also provide your website users with a sitemap. Use of intrusive content – this standard restricts the use of intrusive content on websites such as flashing lights that are known to trigger seizures. You are also required to ensure that both visual and audio media on your site can be stopped when necessary. On WordPress, one can make use of headings to correctly and strategically organize the content of your website. This will make it easy for your website’s visitors to follow and interpret the content. Be sure to employ Cascading Style Sheets (CSS) to correctly separate content and its heading and make for a more presentable website. Alternate text for images is what is displayed when images can’t be properly displayed. Tagging images on your website with proper alternate text enables your website’s users to understand the message conveyed by the images in relation to the content. Alternate texts are also used for informative images such as infographics and statistical tables. Should the content on your page require you to use links, use descriptors that best suit the page the link is referring to. Visually-impaired users usually use screen readers and narrators to read your website’s content. Using unique and descriptive text in the right form will help them understand the context of the links without much hustle. According to colourblindawareness.org, six percent of America’s population suffers from color blindness and deficiency. The most common color deficiency is the red-green color deficiency. This means that when designing your website you should avoid using many color forms especially when it comes to forms. Using colors that they can’t see will prevent these individuals from comprehending whatever message your content was trying to convey. You can use color contrast tools to assist you in making your page visually usable. This will make it easier for individuals with varying levels of color blindness to use your sit. It is also advisable to incorporate visual indicators such as asterisks and question marks. This all may be a bit much for the typical business owner to perform and manage. Your alternative should be to ask Optimized360 to build you a new website with ADApt™ Accessibility built-in.